The Hex Level is a carpentry and fabrication tool that allows the user to make sure projects featuring surfaces at 0, 22.5, 30, 45, 60 and 90 angles are appropriately aligned and level with the ground. This tool's unique hexagonal design allows for multiple level vials to be included at varying angles. 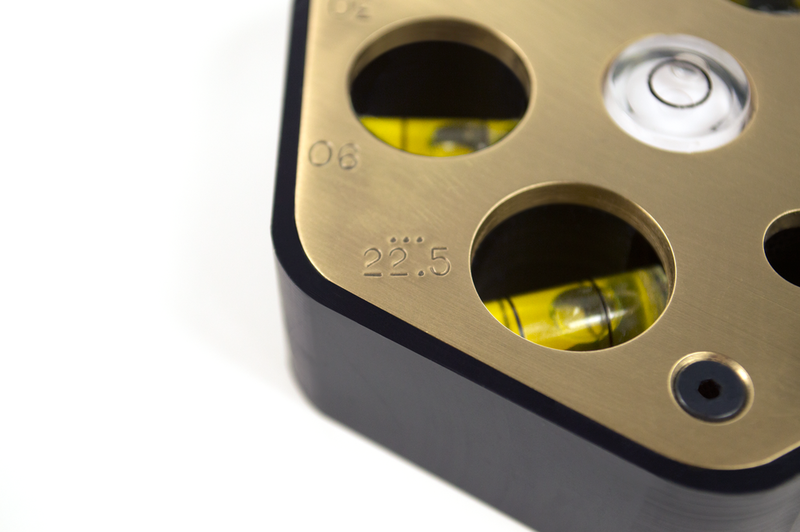 The Hex Level was originally conceived as a contemporary approach to precision tool making. The tool was created not only to be uniquely functional but to be a beautiful object as well. Master craftsmen will always regard their tools with great respect and affection, which led Briggs to create a tool that was durable, functional, as well as attractive and worthy of its owner's affection. The Hex Level is used by placing a flat side of the tool against a surface of an object, and checking if the air bubble in the corresponding angle level indicator, or vial, is centered. One can locate the correct angle level indicator by rotating the tool until the corresponding stamped angle number is upright. The level's form was sketched initially, in order to work out the major functional and aesthetic details. Once sketch ideation was at a refined level, models of the components were drafted in a CAD program, in order to create diagrams with the correct tolerances needed to prototype a highly precise gauge and tool. 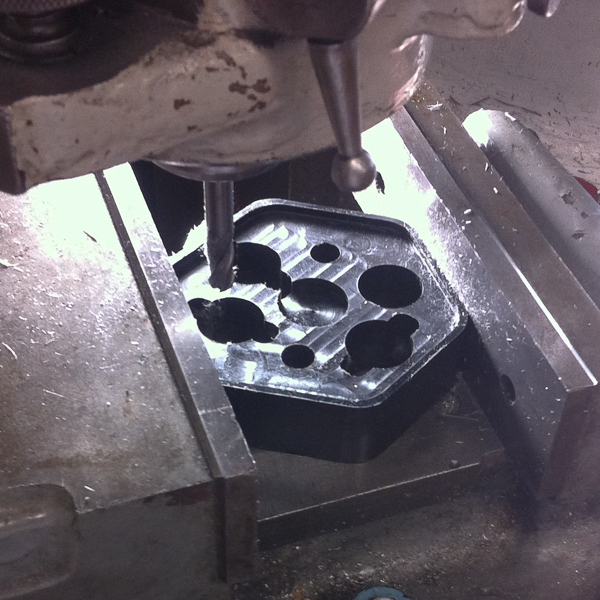 From the CAD drawings, the design was further refined as the major components were milled. 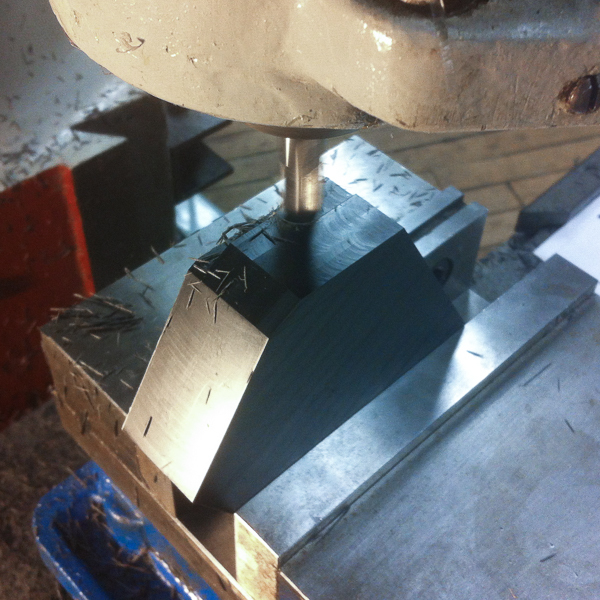 The design features a base milled from tool grade Delrin plastic, and a set-in top milled from machinable brass.